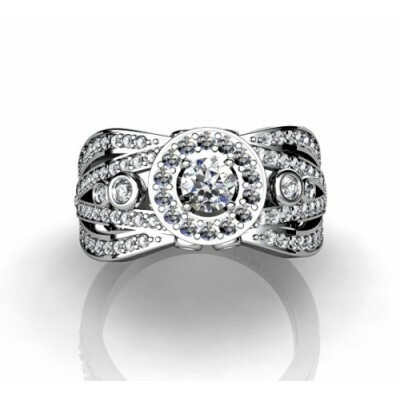 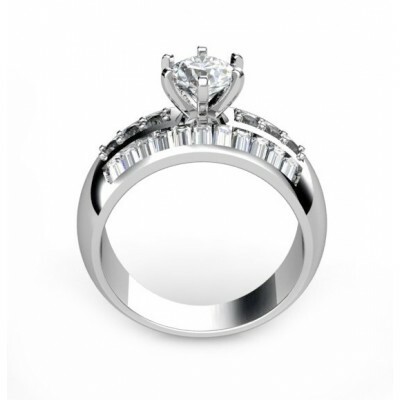 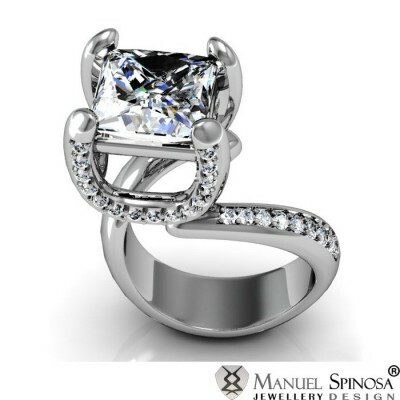 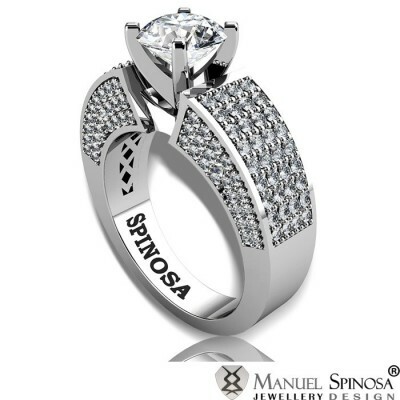 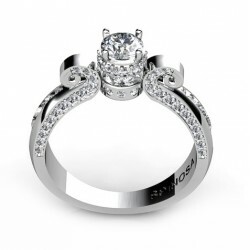 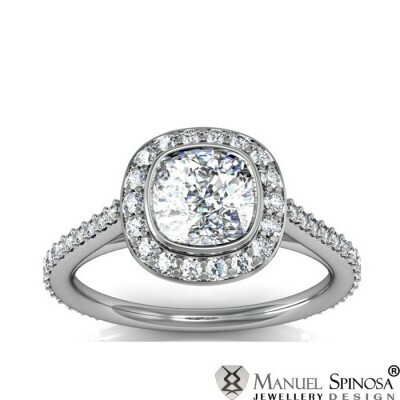 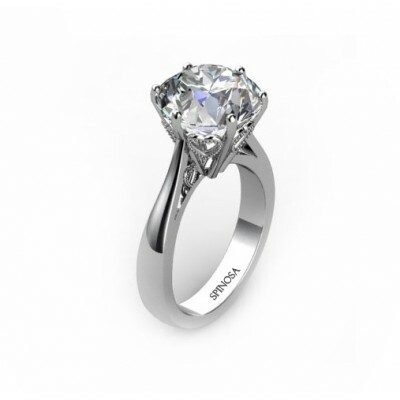 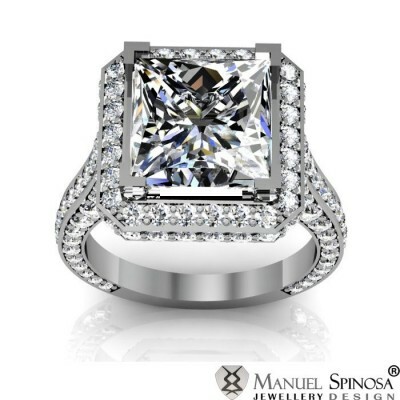 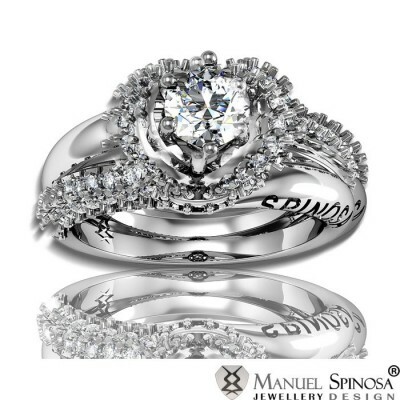 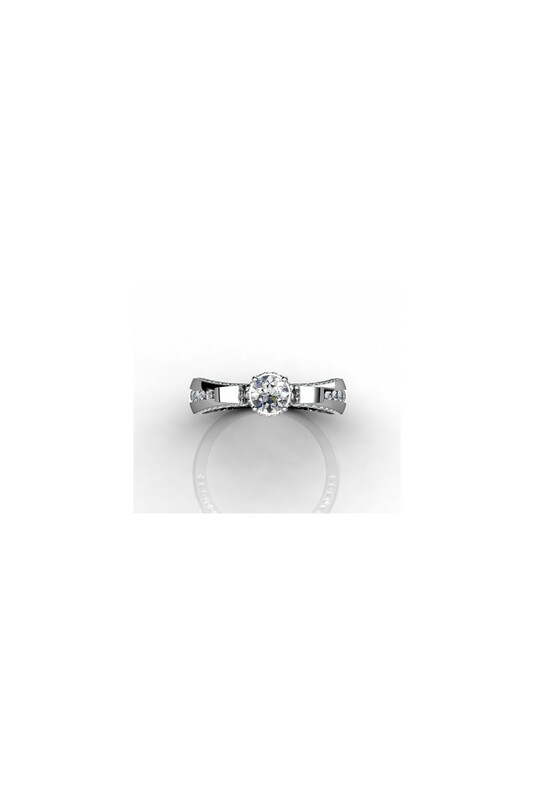 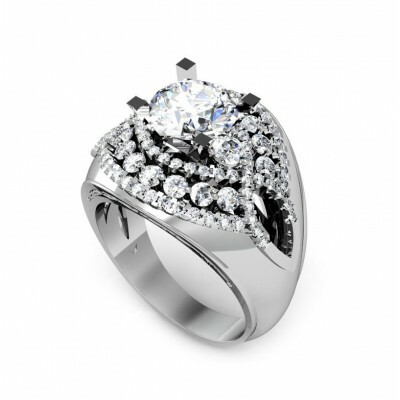 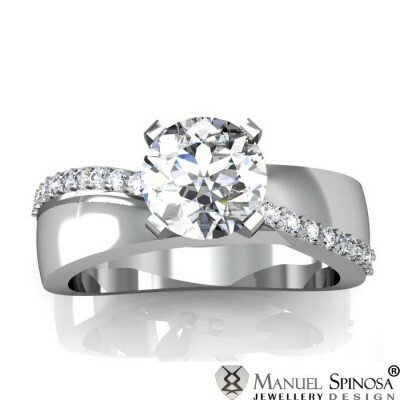 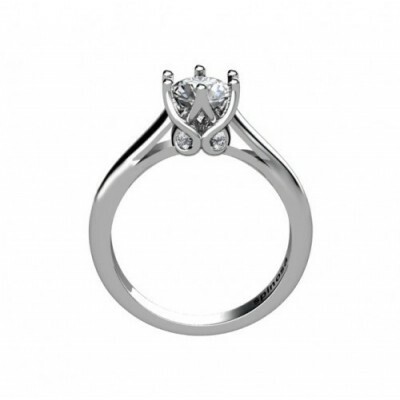 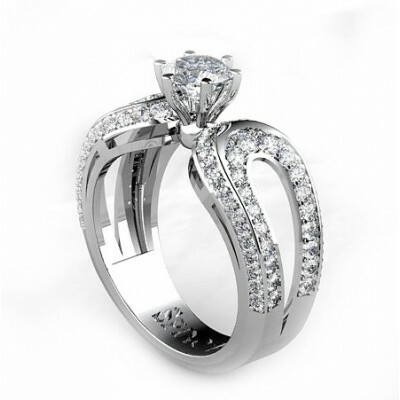 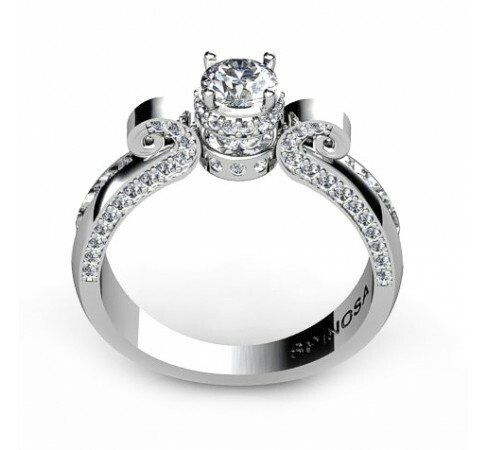 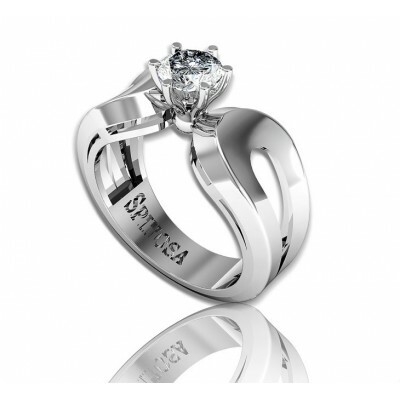 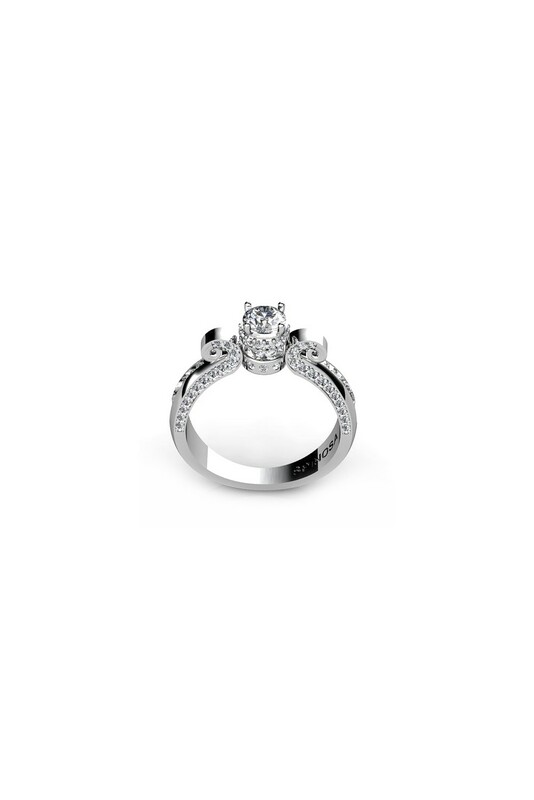 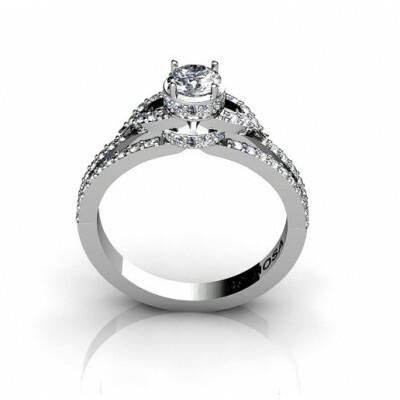 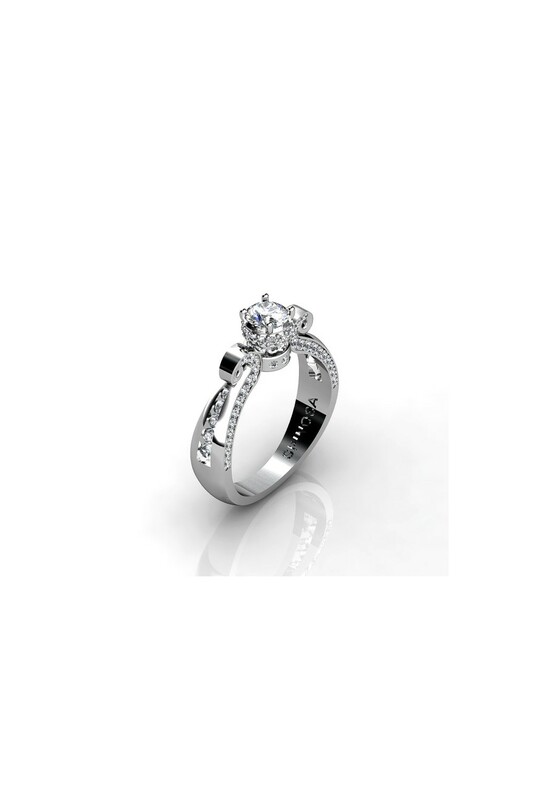 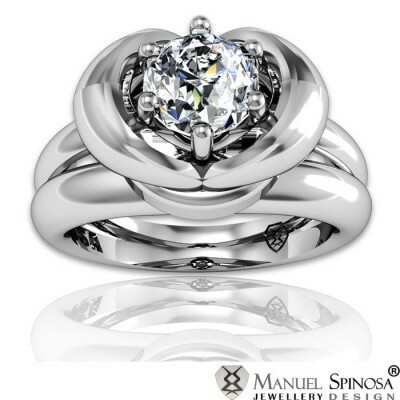 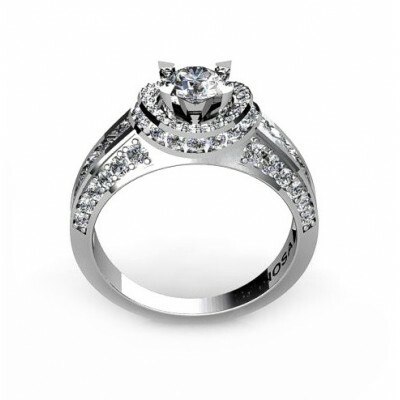 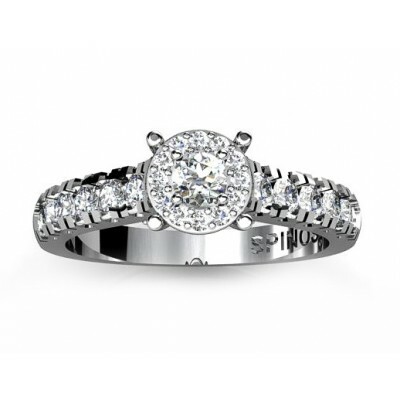 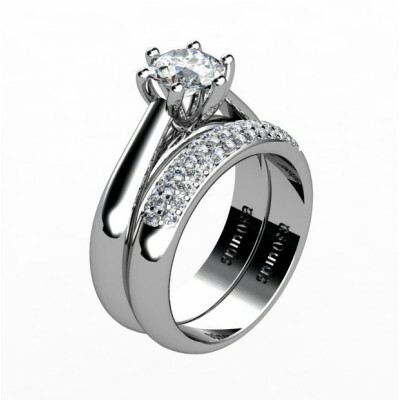 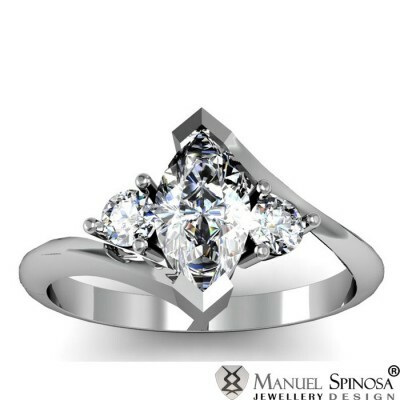 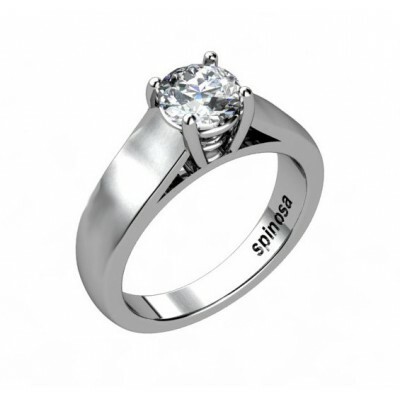 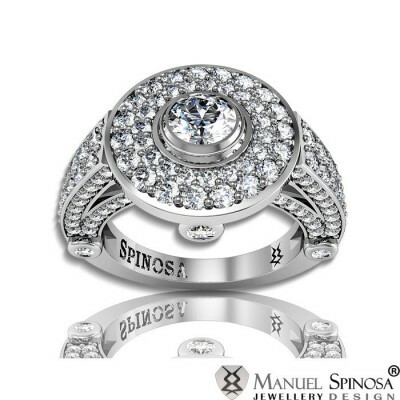 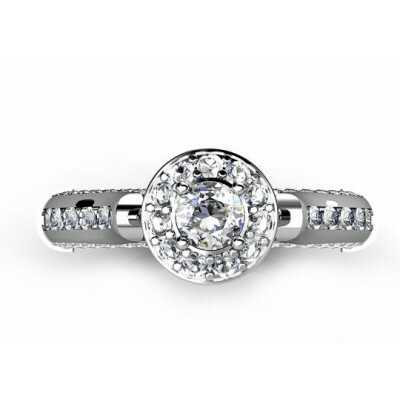 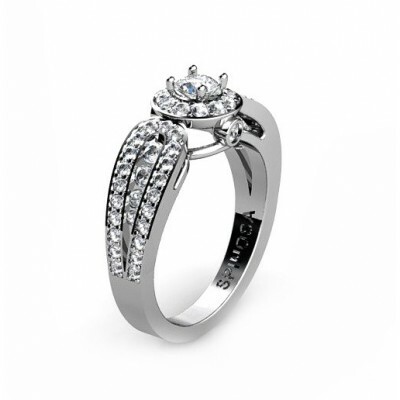 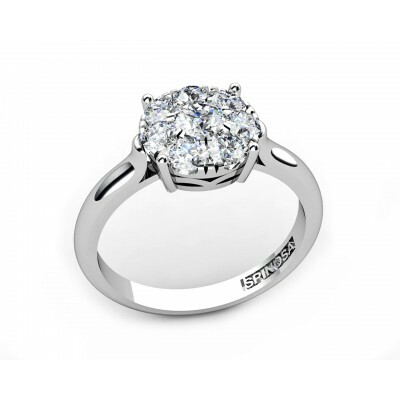 An impressive engagement ring that is made of 18K white gold, with a central diamond that is surrounded by brilliants. 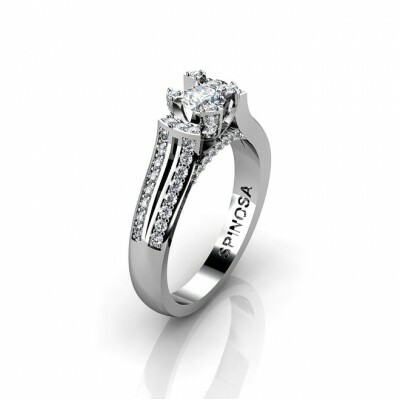 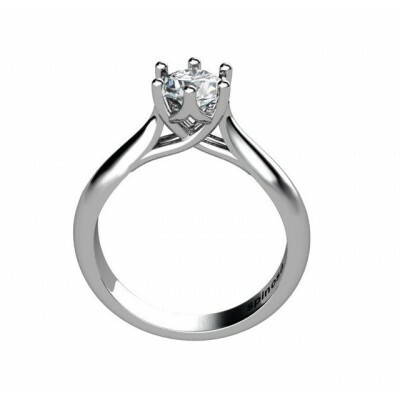 The sides have a unique design that gives emphasis on the central diamond. 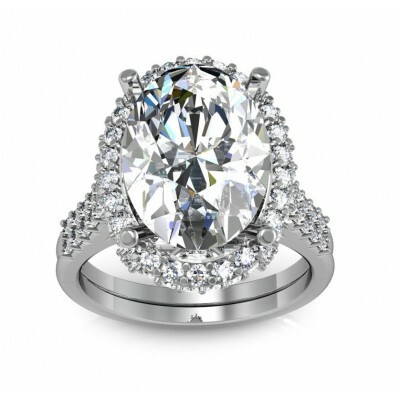 Its edges are also filled with brilliants. 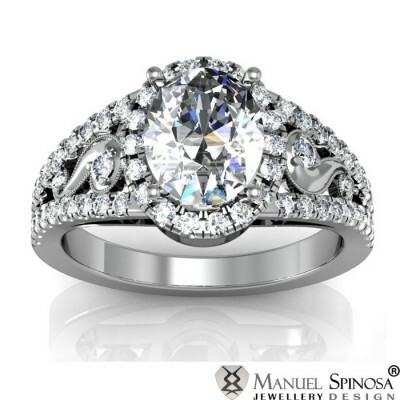 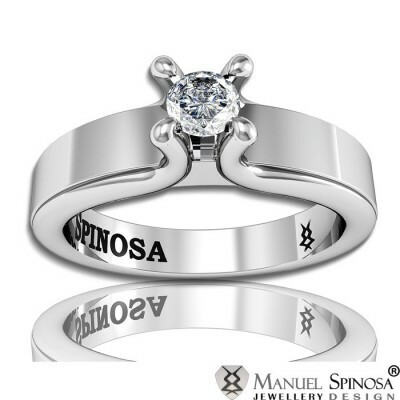 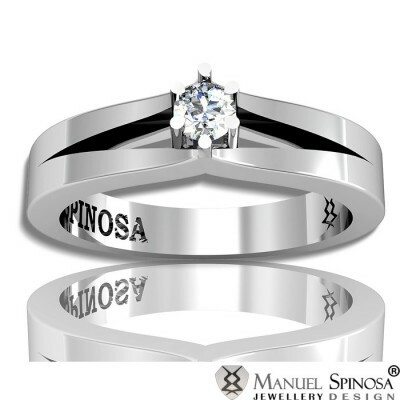 Every woman will be in awe upon receiving this ring.